Medical bill review can be a powerful tool in the claims management arsenal, if used properly. The savings achieved through a well run program directly impacts the bottom line, reducing claims costs and increasing surplus. The process is much more technical and complex than most people realize and, due to that, I see up to a 20% difference in overall program savings in many states. That difference makes a huge impact on whether your program is performing or underperforming. Data analytics can also dramatically impact your results, and this should be part of any good bill review program. Nowhere else can such a wide array of data be produced that allows for comprehensive claims analysis and alerts. The capabilities of data analytics are infinite and underutilized. Companies need to start doing a better job of flagging claims that need intervention, setting reserves with predictive models, recognizing fraud and identifying the best treatment patterns. The problem is that the optimal performance of a bill review program requires one critical component: “transparency.” However, instant access to clear data is too often the exception, not the rule. One area that frequently lacks transparency is the reporting of results. I often see data broken into micro-bites that hide or mislead the client about their program’s overall results. The most important number to judge your bill review program by is not ROI, or PPO penetration, or even the bill review program fee – it is the net savings (total savings less the bill review fees). Let me give two scenarios: Would you rather have a $20 to $1 ROI or a $6.67 to $1 ROI? Sounds like a simple question, but the outcomes are actually not what you’d expect. In scenario A: Imagine a bill with $1,000 in charges, $200 in fee schedule discounts and a $10 bill processing fee (20 to 1 ROI). The resulting bill cost is $810, with a net savings of 19%. In scenario B: You get an additional $200 discount over fee schedule (e.g. PPO, negotiations) at a 25% of savings rate, bringing the total savings to $400 for $60 in fees ($6.67 to $1 ROI). The resulting bill cost is $660, with a net savings of 34% – demonstrating why it’s net savings that is really the key metric to give you the best indication of program performance. Another area where I’ve sometimes seen a lack of transparency is in the self-insured or high deductible market, when the bill review program is owned by the Third Party Administrator (TPA) or carrier managing the claims. This can be a dangerous model with bad incentives and controls. In my accounts payable process, the people that qualify and set-up vendors are different from those that print the checks and are different from the people that sign the checks. These are well accepted controls in the business world. When the people with the financial responsibility to manage the claim file are also authorized to cut themselves checks for services rendered, bad incentives are inherent and there’s a basic breakdown in controls. I’ve come across some very interesting tactics in these situations. During one audit, we found an employer being charged a flat 30% of savings on their files. This significantly exceeded the market rate, based on the employer’s size and jurisdictional presence. We also noticed that the TPA’s internal costs for bill processing, such as PPO network access fees (which were sometimes as high as 20% of PPO savings), were being passed along to the employer, charged directly to the file and in addition to the 30% of savings fee. Meaning the employer was being double-charged for PPO savings – once as a portion of the 30% savings fee and again as the PPO access fee. This access fee was not in the bill review data however; instead it was buried in the claims cost run data. Fortunately, we were able to communicate to the employer the excesses present in their fee model. Of course, not all situations are that bad, and I have seen fee models and outcomes all over the board. In defense of third-party claims administrators, many of them price their claims handling services at a loss assuming they will make it up through delivering managed care and other ancillary services. Payers should consider paying higher prices for claims management in return for added controls and transparency. No matter what bill review partner you have, or choose, make sure you have on-demand access to reports that clearly show all your fees and results. Ideally you can run reports, track trends and view actionable indicators to manage your files better. Make sure you can access the files online, or look at bills and images on your claims. You should not have to fight or search for this data. If you have trouble with these basics, it is a sign of an inability or a purposeful lack of transparency, and neither correlates to a good trusted partner. Your medical bill review partner should be an invaluable resource used to maximize your claim results. Work closely with your partner to refine your processes, optimizing transparency at all levels. 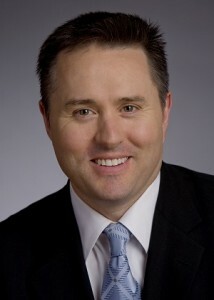 Jason Beans is the Chief Executive Officer of Rising Medical Solutions, a company he founded in 1999. Possessing more than 20 years of industry experience, Jason’s knowledge has been tapped by various media outlets including: The Wall Street Journal, CNN, NPR, Fox News, Chicago Tribune, LA Times, Business and Insurance, Insurance and Technology, AMBestWeek and Managed Care Magazine. His expertise helps steer several Boards of Directors in the insurance and managed care industries and he is a frequent speaker on medical cost containment and MSA administration topics. Jason is a graduate of the MIT/EO Entrepreneurial Masters Program and he holds a Finance degree from Boston College. Rising Medical Solutions (Rising) is a national medical-financial solutions organization that provides medical cost containment, care management and financial management services to the workers’ compensation, auto, liability and group health markets. Based in Chicago, Illinois, Rising started as a two-person team and is now one of the fastest growing private enterprises in America, as ranked by Inc. magazine and the Private Company Index (PCI). To learn more, visit: www.risingms.com.